Recently our musical interests have surround headphones that are as small as wireless headphones can get. 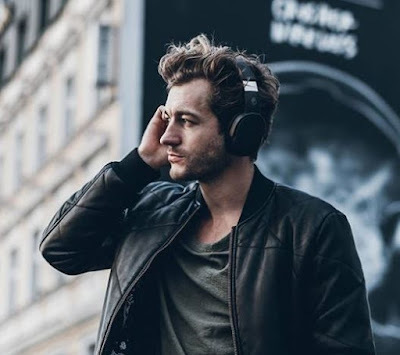 As great as they can be, tiny in-ear headphones are never going to offer you the immersive experience that over-ear cans can. 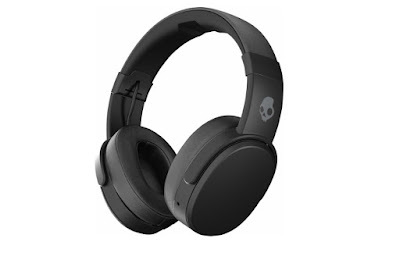 If you're looking for a nice pair (tee hee) that can also block out all the annoying and quite frankly un-beautiful sounds of modern life, check out the Skullcandy Crusher Wireless Headphones. We did. 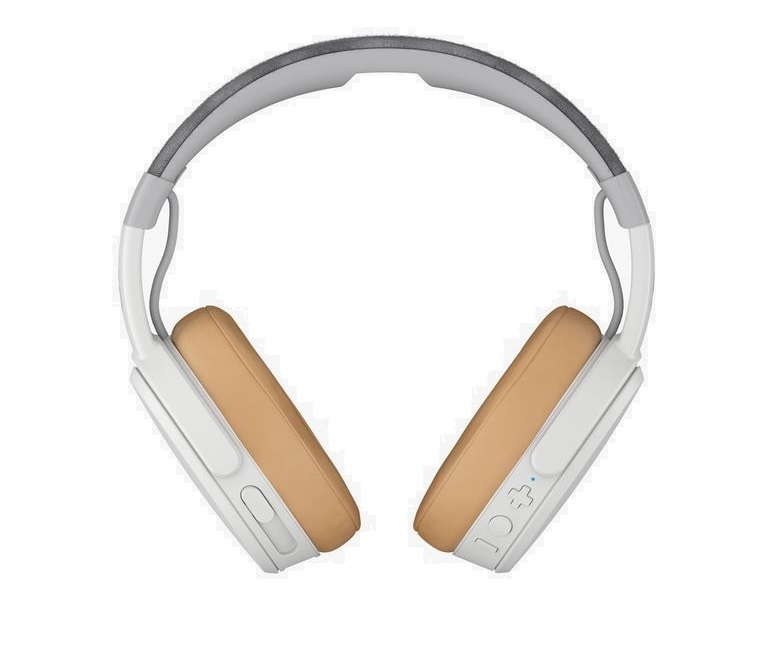 Compared to our most recent review of a pair of Skullcandy headphones, these are pretty chunky. The Skullcandy Crusher Wireless Headphones feature reassuringly plush cushions over decently sized cans, held together by a folding and flexible head band. They ship with a draw-string carry case, as well as the charging cables and docs. These are Bluetooth headphones, and contacting them to a phone or other Bluetooth device with music on it was as simple as it should be in 2017. Popping them on is also very easy, as the band is flexible enough to fit over even the most Elephant Man-ish head and still be comfortable. We're all fairly beefy blokes here (calm down, ladies) and everyone that tried them on found it a pleasure to do so. The memory foam cushions on the cans gently moulds to the side of your head over a few minutes, and we found that the fit actually improved after wearing them for a short while. The cans are large enough not to sit directly on your ear, so nothing is being squashed or compressed. After that, we let the sounds in. We tend to overlook just how lovely an experience it can be to listen to something on decent over-ear headphones. If you spend all your time using in-ear or small on-ear 'phones, you'll be bowled over by the depth of sound offered by the likes of these. Its like going from watching TV at home, to watching a film at the cinema. All genres of music were reproduced crisply and with heart-stopping depth of bass. And, as they block out ambient sound, you don't have to crank up the volume, so everything sounds smooth, too. Skullcandy tells us that the Crusher Wireless Headphones use Stereo Haptic Bass, where different levels of bass are transmitted to both cans. It means the sense of bass can alter, making that oomph feeling more variable and deep. 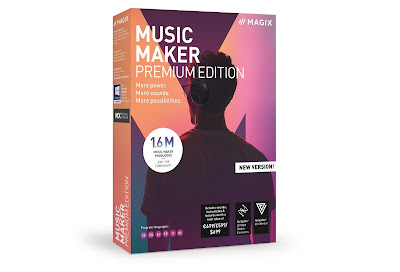 Listen to a track which is bass heavy and you'll feel as if you're standing in the middle of the band performing it, while if you watch a movie while wearing these you'll get a sense of separate booming actions taking place all around. Does that make sense? probably not. Erm... THEY SOUND GOOD, OKAY?!?! Chunky yet compact to carry, immersive but not overly expensive, we're big fans of the Skullcandy Crusher Wireless Headphones. Go get 'em, tiger.